Are you looking for an unlocked iPhone that works on any mobile network in USA, India, UK or any other country? Don’t approach the grey market, buy the original iPhone with full warranty support from Apple for $549.00. 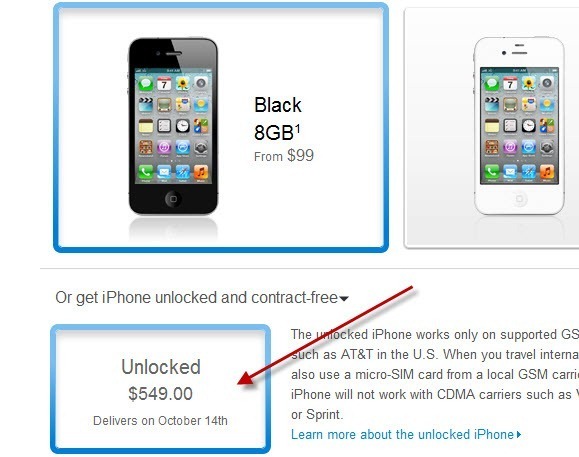 Apple has recently started selling fully unlocked iPhone 4 that works on any GSM network. You can place an order for the through Apple website or you can walk into any Apple Store nearby and purchase one. In Indian rupees with today’s USD conversion rates its works out to close to 27000/- if purchased in USA. So If any of your friends or relatives are returning back to your home country from USA you may request them to buy.